Ermha Respite supports carers so they can sustain their caring role – a role that yields significant economic and social benefits to the community. 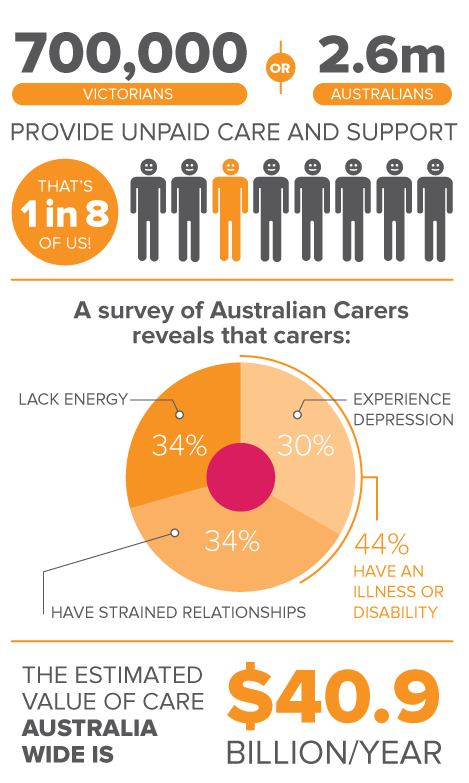 Ermha’s Carer Respite program can help you address the challenges of your caring role so you can achieve your goals. Ermha Carer Support Services accepts referrals from health professionals, other agencies, friends and family members, and we also accept self-referrals. Carer Suport Services offers groups and activities throughout the year – a description of activities and when they are held is detailed in the calendar below. There have been some slight changes to the workshops below – finger food is provided and the workshops are now held at Ermha Head Office.